It started out as a sweet deal involving the buying and selling of properties in Singapore's choicest districts, promising around 30 per cent returns. Now, around 60 investors have come forward to claim they have been duped in what could be a multi-million-dollar ponzi scam. The investors said the alleged mastermind behind the elaborate scheme, Ms Leong Lai Yee, owes investors more than $60 million in capital alone. They also told The Sunday Times that the woman, who is in her 50s, cut off contact with them last weekend, but not before telling them that their money was gone and she wanted to take her own life. At least 10 investors have lodged police reports. The police said in response to queries: "It is inappropriate to comment on investigations." The scheme may have started unravelling only last year, but it has been going on some 15 years. 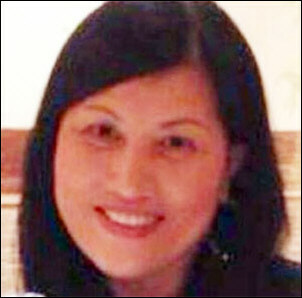 Through the period, Ms Leong allegedly hooked more than 100 investors with her promise of a virtually no-risk programme. On the "advice" of a banker, she would buy distressed properties in Orchard, Tanglin and Newton, which are on the verge of being repossessed by banks, and sell them to buyers in China for a profit. Investors who pumped in money to fund the purchase of these distressed properties were promised returns ranging from 10 per cent to 48 per cent over a period of four to eight months, they said. They were also told that the eventual buyers would place a 40 per cent downpayment on the property, which would be forfeited if these buyers backed out. This would be enough to pay the profits promised to investors. The Sunday Times was shown business agreements between investors and Ms Leong guaranteeing their capital and pro-rated profit. The money which investors pumped in ranged from $10,000 to more than $2 million. Those who referred friends were also given a cut, which could be anywhere from 1 per cent to as much as half of the new funds. One investor, who gave her name only as Madam J. Tan, said Ms Leong claimed to be marketing high-end condominiums in Singapore's Districts 9, 10 and 11, although there were never any documents to prove this. "We just trusted her because of the testimonies of those who knew her for a long time," said the 50-year-old, who put in $1 million and introduced several friends to the programme. Among the investors were retirees and housewives like Madam Tan. She said Ms Leong had urged people to withdraw their Central Provident Fund savings, borrow from their insurance policies or take a second mortgage on their properties to free up cash to invest. Several investors were with the scheme for over 10 years, while the latest joined just last month. Ms Leong, who was known to friends as Adeline, built up trust and goodwill over the years, even inviting investors over for Chinese New Year parties at her well-decorated semi-detached house in Tanah Merah. "She is someone who sits down together with you, laughs, goes for dinner, holidays in Thailand and Hong Kong together with you. Will you suspect anything?" said a 58-year-old businessman who gave his name only as Mr S. Goh. He had gotten to know Ms Leong in 2001, and together with friends and relatives poured more than $2 million into the scheme. He also put returns and referral fees back in as investments. "There were never any problems. There were even people who pulled out early and got their capital and pro-rated returns back," he said, explaining why no alarm bells went off for so many years. It appeared to be only in the past few years that things started going wrong and Ms Leong tried to raise more funds by offering higher returns of 35 per cent for a six-month contract. This bears the hallmark of a ponzi scheme, in which fresh funds from new investors are used to pay those who joined earlier. Last September, several investors received a text message from Ms Leong saying she would pay them only in December, but with additional interest. A week later, she postponed payment to March 9. She told investors then she was trying to negotiate a $70 million deal that would allow her to repay everyone. When March 9 came, payments were pushed to May 18. Four days before the deadline, investors were asked for their addresses so they could be sent invoices. But instead of invoices, some of them later received a letter from Ms Leong in which she said she would kill herself. She and her husband have been uncontactable since, investors said. Attempts by The Sunday Times to call her were unsuccessful. Ms Chan Shwe Ching, an investor, began legal proceedings against Ms Leong last month. Her lawyer Michael Chia said the courts have allowed an injunction to freeze Ms Leong's assets within Singapore. Ms Alina Sim, who is still Ms Leong's lawyer on record, said she was not at liberty to discuss the case. Around 30 people have also hired a lawyer to launch a civil suit against Ms Leong, said an investor who gave his name as Mr Ong. Mr Goh said he had dinner with Ms Leong just last month. Now, he and the other investors are hoping her family and the public will help to locate her. "This is not a Korean drama, it is real," he said ruefully. "There are real people, real families involved."